It’s my privilege to extend a very friendly welcome to you on behalf of our entire staff; we sincerely look forward to being a great source of pain relief as well as encouraging your overall health. You will quickly become a welcomed member of our family of satisfied patients. We treat a wide variety of conditions using the best combination of traditional Chiropractic techniques and the latest in innovative care. We take great pride in the positive environment we have fostered together as a team here at Dunn Clinic, rest assured we will do everything we can to make your visit a wonderful satisfying experience. We look forward to serving you! Request an appointment today by calling us at (615) 383-1246 or click below! During your life, a variety of stressors can bring injury to your body. Poor posture, a sedentary lifestyle, sports injuries, car accidents, work-related injuries and emotional pressures can add up, and if left unaddressed, they can create and exacerbate health problems. Chiropractic is a natural way of helping your body heal itself without relying on drugs and surgery. Doctors of Chiropractic are primarily concerned with the correct alignment of your spine. Why? Your nervous system, which controls the function of every cell, tissue, organ and system of your body, runs all the way from your brain to your tailbone. While the brain is protected by the skull, the spinal cord is more vulnerable, covered by 24 moving vertebrae and is attached to nerves that flow throughout your body. When these bones and vertebrae lose their normal motion or position, they can irritate the nervous system. This disrupts the function of the tissues or organs these nerves control, and is called the Vertebral Subluxation Complex. Simply put, chiropractic care consists of locating areas of spinal distress or vertebral subluxation and realigning them. Although chiropractic shares much with other health professions, its emphasis and application of philosophy distinguishes it from modern medicine. Chiropractic philosophy gravitates toward a holistic (“total person”) approach to healing. Chiropractic pursues the source of your pain, not just the treatment of your symptoms. The chiropractic perspective on health and disease emphasizes two fundamental concepts: 1) the structure and condition of the body influences how the body functions and its ability to heal itself; and, 2) the mind-body relationship is instrumental in maintaining health and in the healing processes. When the body is in alignment and stressors are minimized, it is more likely to maintain a higher level of vitality. Canadian-born teacher and healer, Dr. Daniel David Palmer, performed the first recorded chiropractic adjustment on September 18, 1895. At the time, Dr. Palmer was studying the cause and effect of disease with his patient, Harvey Lillard, a janitor working in the same building as Dr. Palmer in Davenport, Iowa, had complained of hearing problems for over 17 years. Upon examining his spine, Dr. Palmer discovered a “lump” on Mr. Lillard’s back and suspected that a vertebra might be out of place. He repositioned the vertebra with a gentle thrust and after several of the same adjustments, much of Mr. Lillard’s hearing was restored. Since Dr. Palmer’s first chiropractic adjustment, the art and science of chiropractic has progressed significantly. Advanced diagnostic procedures, sophisticated equipment, scientific research, and the growing acceptance among other health care professionals are making chiropractic care a popular health care choice. Increasing interest in alternative forms of care has caught the attention of several health associations and government agencies. In fact, a 1993 New England Journal of Medicine study reported “the estimated number of visits made in 1990 to providers of unconventional therapy was greater than the number of visits to all primary care medical nationwide,” and chiropractic was among the most frequently used non-medical therapies. A 1998 follow-up report published in the Journal of the American Medical Association found that the use of non-medical treatments had increased significantly since the 1990 survey: “overall prevalence of use increased by 25%, total visits (increased) by an estimated 47%, and expenditures on services provided by practitioners of alternative therapies by an estimated 45%.” Of the survey respondents, one in nine (11%) had used chiropractic care within the previous year. For more information and links to chiropractic studies, please visit our FAQS page. You rock Dr. Quint! Your adjustment has me sitting upright and laying on my side for the first time in 6 months. The experience took about 2 hours — involved electro-stimulation, 15 min massage, three x-rays and full adjustment. Paid out of pocket $150. Very satisfied. Yvonne is great! I was a typical acupuncture skeptic before I started, but now I am a true believer. Yvonne has helped me nearly eliminate the wrist pain I have lived with for years. She is also a very caring and attentive therapist. I came to her with reservations about the invasive nature of acupuncture and she has made my treatments very relaxing and enjoyable experiences. This place is the best! Dr. Chris does my adjustments and she is a fantastic listener and is always ready to find the root of my problems. I get regular massages and have never left without feeling completely relaxed. Melissa, I believe, is the front desk manager and she is a real sweetheart! She always remembers me, even on the phone, and is always in such a cheery mood, it’s contagious! All the front desk girls are really sweet! The physical therapists are great and they explain everything really, really well. I never have an issue with long waits. No matter what I come in for, they have a solution for me. I started going nearly a year after a car accident, and my orthopedic physical therapist wasn’t fixing the problem. After only a few visits I felt immense relief and now I’m hooked! Keep up the awesome work! WONDERFUL! There’s no need to search and travel all over for different treatment options, everything is in house. The staff are kind and full of knowledge. They listen to you and to what your body is telling you. I cannot leave this comment without giving a shout out to Brice. I’ve had many medical massages, but Brice is by far the best and full of knowledge – very professional. So, no need to stay in pain any longer. Go make friends with the staff at Dunn Chiropractic Clinic and be Dunn with pain! Dunn staff was friendly and sincere. The chiropractors gave me tips on maintaining posture, and helped relieve my neck pain through adjustments. I’ve also received great trigger point massages where I literally felt the muscles release and calm. It was amazing! I recommend them to anyone working a physical job and needs relief from back/shoulder/neck pain. I love the Dunn Clinic. I have used Chiropractic care for 30 years and have had good results and relief from pain. However, I never really knew how wonderful it could be until I visited Dunn! The office manager was really on the ball. She embraced me as I walked in and introduced me to the staff. She told the staff to give me the VIP treatment and that is just what they did. Dunn Clinic was recommended by two friends who suffered back pain and injuries. My own back hurt so much I walked in a shuffle, could barely carry my purse, and couldn’t sit except on one hip. I called and Shelle got me in the next morning. After just a few visits I felt so much better! Every person in the office has been exceptionally friendly and helpful and they really work as a noticeably coordinated team. I would recommend without reservation. I’ve been going to the Dunn Clinic for over a year since I injured my back. I was in severe pain and it affected every aspect of my life. With a structured therapy plan I’m 100% better now and even ran the 1/2 marathon this year. The staff at Dunn is amazing! 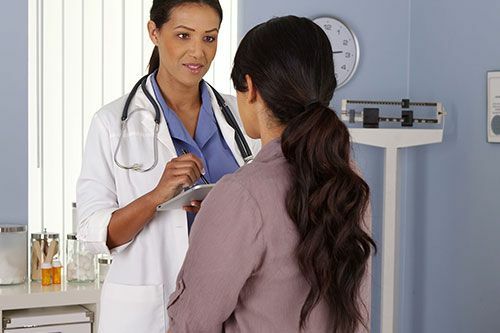 They are friendly, polite and know how to communicate medical terminology in ways clients can understand. I still go once a month to get adjusted and get a B12 shot. I highly recommend the Dunn Clinic, they’ve helped improve my quality of life and given me a better sense of well-being. 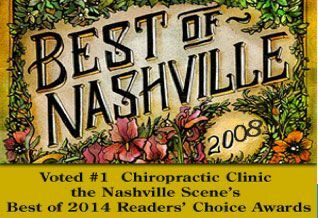 he BEST chiropractic practice in Nashville, hands down!! Dr. Jordan is amazing! I saw him through my whole pregnancy and he was so careful and informative. Not to mention, the level of service he provided was the best! Kim is an amazing massage therapist! Really works on the problem areas. I’ve had great results with this practice! The front office staff is very professional and personable! I cannot say enough great things about this place!!! Pain Relief!!! WoW!! What a professional staff and beautiful office. 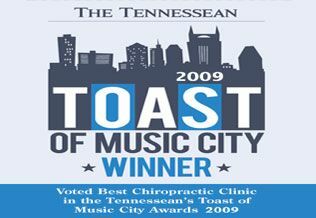 The whole office caters to the patient and is one of the most caring and professional offices I’ve encountered in Nashville!